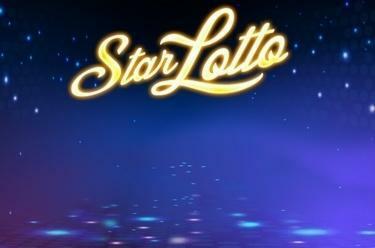 Play Star Lotto™ online for free now! Get this: You play a slot but actually you play a version of the lottery. The choice of lottery numbers is yours. You can play with up to 4 lottery tickets at the same time and they can win in 3 different ways. And there is also a jackpot. There is no such thing? You better believe it: Star Lotto™ has all this in store and more - there is also the cute little robot accompanying you on your journey to the winning stars! Your aim with Star Lotto™ is to land 6 numbers that correspond with lottery numbers that you choose beforehand. The star, that substitutes any symbol, is your little helper. You select 6 lottery numbers in Star Lotto™ by clicking the red levers at the left and right side of the row of numbers or by clicking the green arrows below and above the relevant numbers. You can play 4 slots, which can be activated and deactivated with the click of a button. Clicking the Star button triggers a spin. The results will then be compared with the lottery numbers. If they match you win according to the paytable. If the numbers of one or several slots starting on the left match with the lottery numbers you land a "First" win. Should number combos land on random locations of the slot that match the lottery numbers you get a "Random Locations" win. When a slot shows at least 4 matching numbers you land a "Matching Numbers" win. The 2 numbers that didn't fit will be spun again if exactly 4 numbers have landed. If you then land 5 matching numbers another spin is triggered to increase the odds to 6 matching numbers. If luck is on your side you can crack the progressive Mystery Jackpot in Star Lotto™. The jackpot amount depends on your stakes. The maximum total stake gets you 100%! The jackpot amount is displayed above the paytable.